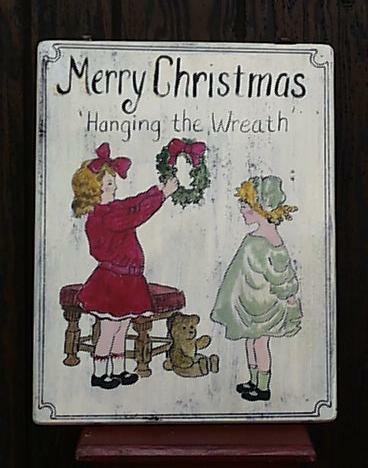 At Old Czech Country, we design and hand paint Christmas signs that look like vintage Christmas cards and make uniquely shaped Santa and Snowman signs. 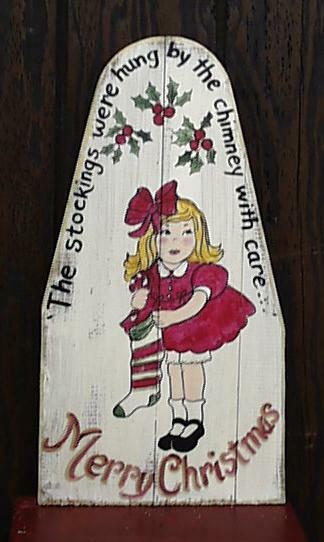 Our customers have used our Christmas signs to grace a mantle or door. 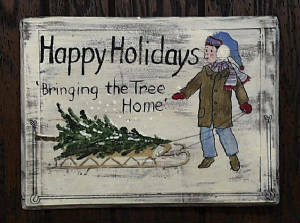 These one of a kind folk art Christmas signs only need a garland on them to create a holiday focal point in your home. These signs are created with crackled paint and slightly worn around the edges for a wonderful vintage look.